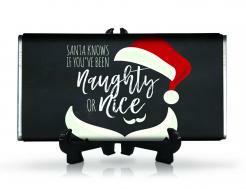 Delicious milk chocolate bar in silver foil with printed wrapper applied. 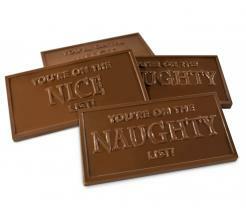 Chocolates are moulded with Naughty or Nice embossing. 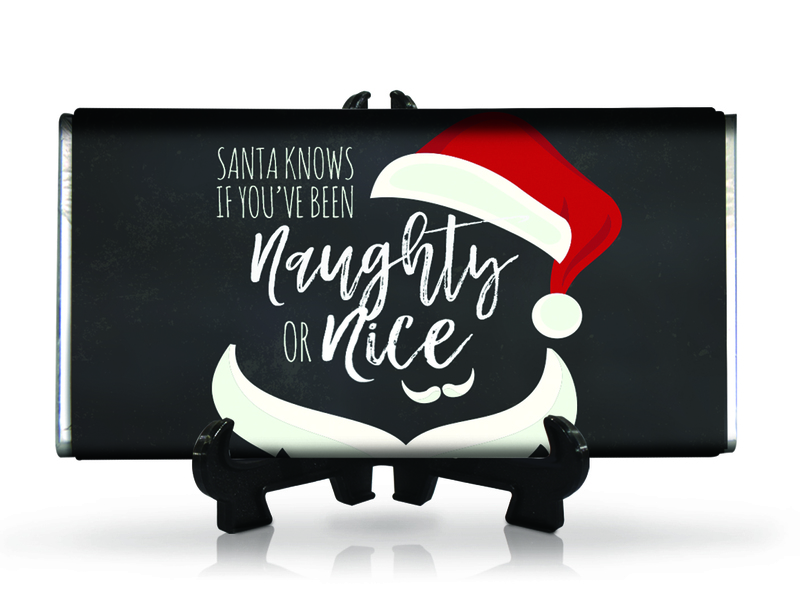 Orders will contain half Naughty and half Nice chocolates.